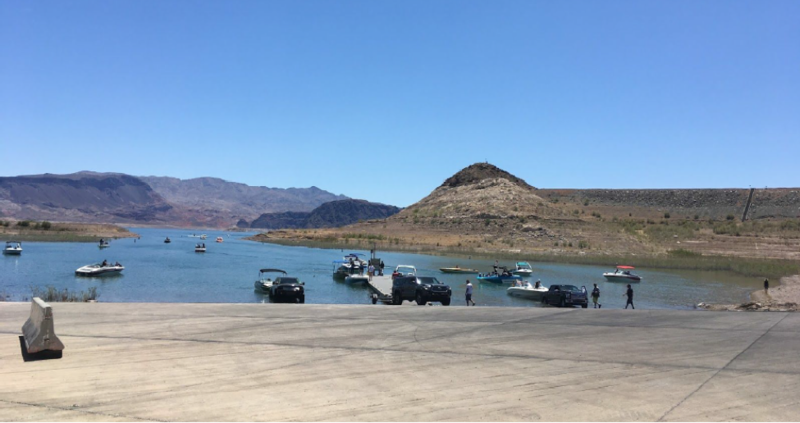 Lake Mead National Recreation Area (LMNRA) is, without question, one of the most important recreation destinations in the American Southwest. Straddling Arizona and Nevada, the site attracts more than 7 million visitors annually. 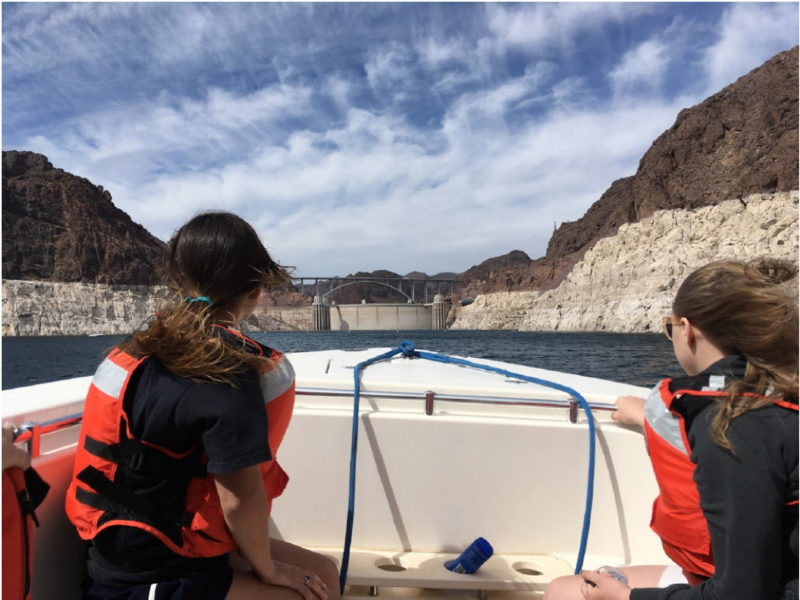 These outdoor enthusiasts spent over $312 million last year, making Lake Mead one of the top 10 national park sites by visitor spending. As one might expect, boating and fishing are popular activities at the 1.5-million-acre park. However, these activities make LMNRA vulnerable to the spread of aquatic invasive species (AIS). Quagga mussels are of particular concern; every year, they cause millions of dollars in damage by clogging pipes, destroying boat engines, and overtaking native flora and fauna. 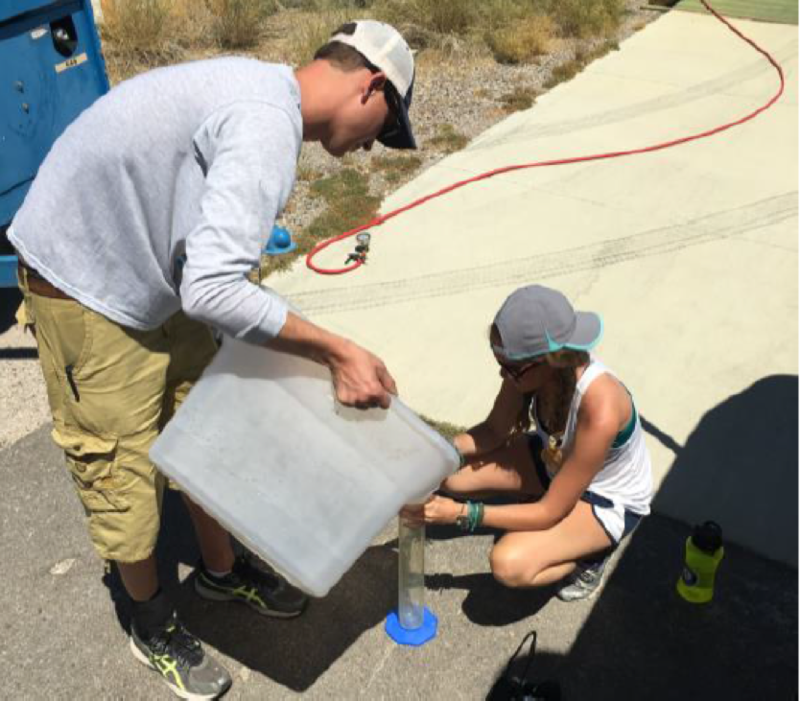 To help control the spread of quagga mussels and other AIS, the park partners with Great Basin Institute – a 21CSC organization – to engage AmeriCorps members in conducting visitor education. Since the start of this partnership in 2011, GBI’s AmeriCorps interns have provided AIS education to more than 43,000 visitors annually. During the summer months, 10 interns monitor launch ramps and inform visitors about park rules, water safety, and how to perform “Clean-Drain-Dry”: the practice of properly checking and treating recreational equipment that could encounter AIS and potentially spread such species to other locations. The interns also check boats for proper safety equipment and are trained to provide first-aid in a medical emergency. During milder months, the interns continue to provide education, but also participate in a variety of other resource management and visitor service activities including: testing water quality, restoring habitats, installing and repairing fences, conducting biological and cultural resource inventories, and creating/managing interpretive exhibits. 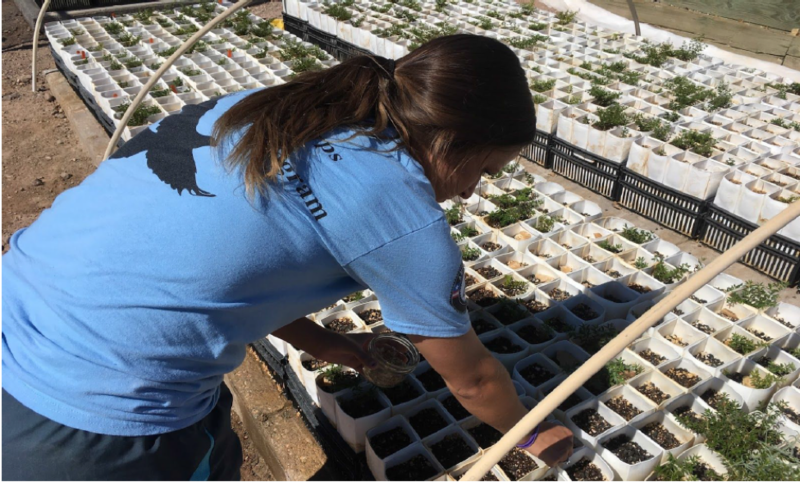 Both in the summer and in cooler months, the service of the Great Basin Institute interns helps the national park service staff at LMNRA maintain healthy habitats, promote sustainable recreation, and create positive visitor experiences. The AmeriCorps interns gain a lot from this partnership as well. The annual visitor spending at LMNRA helps support more than 4,000 local jobs. To sustain these jobs, it is imperative to keep the park’s natural resource infrastructure healthy and capable of supporting consistent visitation. Thanks to the partnership between LMNRA and Great Basin Institute, the national park service can reach more people and meet its mission of protecting our public lands. This entry was posted in Habitat Restoration, Invasive Species Removal, Partnerships on October 11, 2017 by Hannah. Conservation Corps youth take a break after a day of pulling buckthorn on National Park Service lands along the St. Croix National Scenic Riverway, east of Saint Paul, Minnesota. Editor’s Note: This week Secretary of the Interior Sally Jewell and National Park Service Director Jonathan Jarvis visited St. Paul Minnesota to sign an agreement with the National League of Cities and the YMCA to better coordinate efforts to get kids outdoors, as part of the Secretary’s youth initiative. This week we will highlight the additional efforts of an organization supporting the Secretary’s goals for her initiative in the Twin Cities area through the 21st Century Conservation Service Corps. This summer, youth will play in vital role in helping to protect biodiversity and improve visitors’ experience along the St. Croix National Scenic Riverway. The St. Croix River, with its proximity to the Twin Cities metropolitan area and federal designation as a Wild and Scenic River, is a popular outdoor recreation area for paddling, hiking, biking and birdwatching. Participants, ages 15-18, and young adult AmeriCorps members will work in crews of eight, along shoreline and public lands in this national park to remove invasive buckthorn and purple loosestrife that destroy native vegetation and critical habitat. Corpsmembers will also be involved with identifying and mapping threatened areas. 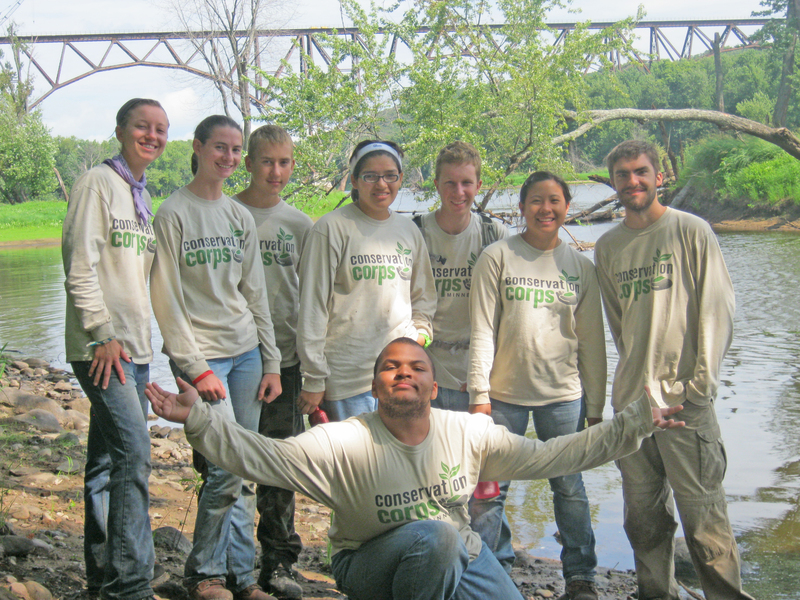 The St. Croix projects will engage a total of 60 diverse youth participants from Conservation Corps Minnesota & Iowa, a 21st Century Conservation Service Corps program operator, in partnership with the National Park Service. The projects will be completed over eight weeks of the 2014 the Summer Youth Corps program. This entry was posted in Habitat Restoration, Invasive Species Removal, Rivers and tagged buckthorn, Conservation Corps Minnesota and Iowa, invasive plants, National Park Service, purple loosestrife, St. Croix National Scenic Riverway, Twin Cities on April 28, 2014 by Hannah. The California Conservation Corps enrolls veterans to assist with firefighting efforts as an official program of 21st Century Conservation Service Corps. 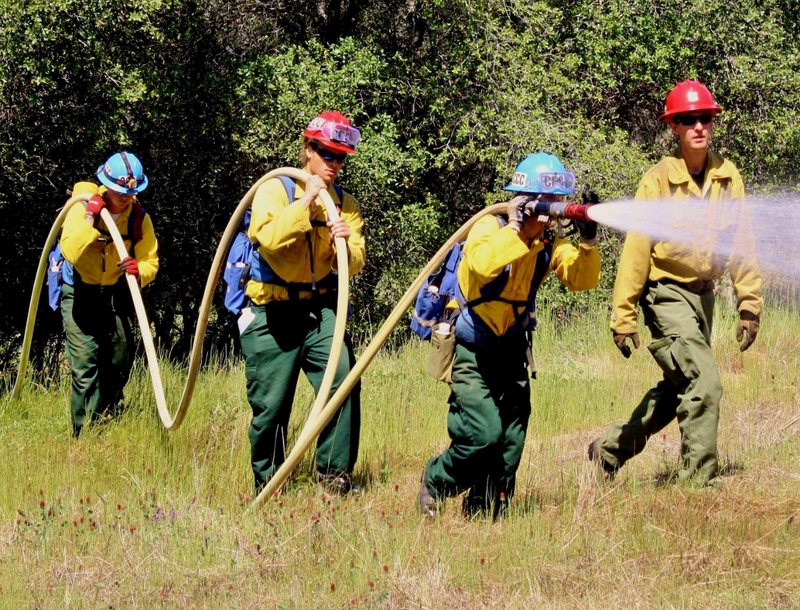 At a California Conservation Corps center in the Sierra foothills, 50 military veterans were put through their paces this week, mastering a 40-hour wildland fire training led by members of the U.S. Forest Service and the Bureau of Land Management. After completing the course, the veterans became part of the nationwide Veterans Green Corps, that also includes veterans in the Student Conservation Association and the Southwest Conservation Corps. Many Corps programs have also developed Veterans Conservation Corps programs with other partners including Rocky Mountain Youth Corps (Colorado), Montana Conservation Corps, Maine Conservation Corps, Nevada Conservation Corps, Washington Conservation Corps, Utah Conservation Corps and Western Colorado Conservation Corps. These programs are all part of the new 21st Century Conservation Service Corps. This entry was posted in Invasive Species Removal, Trail Maintenance, Veterans, Wildland Firefighting and tagged Arizona Conservation Corps, Bureau of Land Management, California Conservation Corps, Conservation Legacy, Montana Conservation Corps, U.S. Forest Service, Veterans Green Corps, Wildland Firefighting on March 31, 2014 by Hannah.